When I started writing these Fabergé Friday posts, I began by going through all the 43 surviving (of 50) Imperial Easter Eggs Fabergé created for the Russian Imperial Family. After the Russian Revolution, no more commissions for these eggs was made, for obvious reasons... But the jewel firm Fabergé still exists, and earlier this year they presented the first new Imperial Egg created in 99 years - the Fabergé Pearl Egg. 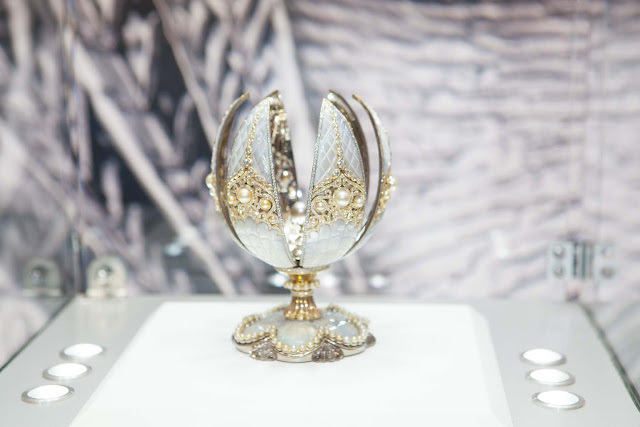 It has been created to mark the 100th anniversary since the last Imperial Egg was commissioned, and Fabergé's spokeswoman, Alize Morand, says this is the first egg of several soon to be unveiled by Fabergé. The Fabergé Pearl Egg has been hand crafted in the same manner as the original Fabergé eggs, and draws its inspiration from the formation of a pearl within an oyster. 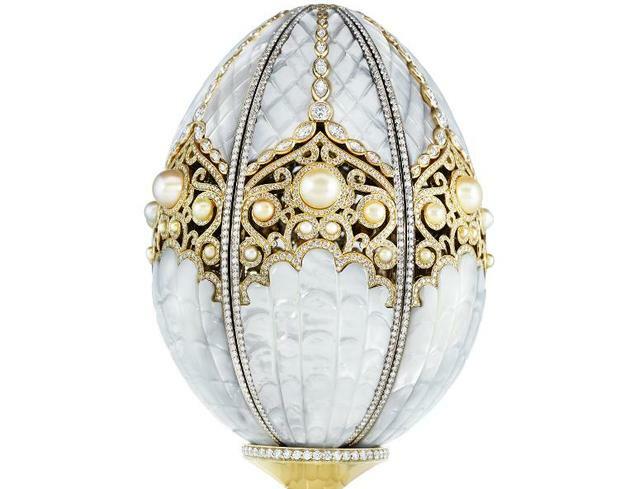 The egg is decorated with approximately 3,300 diamonds, 139 natural pearls, carved rock-crystal and mother-of-pearl set on white and yellow gold. Just like its forbearers, this egg also opens up to reveal a secret - a rare 12.17 carat grey pearl from the Arabian Gulf. It took 20 highly-skilled craftsmen around 18 months to design, acquire the precious materials and build the egg. It was shown earlier this year at Baselworld, after which it went home to its new owner - Hussain Al-Fardan, chairman of the Alfardan Group, and founding director of Investcorp.